What is the current population of Iceland? How large is the landmass, and how did it come to form? What are the country's biggest industries, and what language do the Icelanders speak? What are some interesting facts about Iceland rarely heard about? Read on to find out all there is to know about the basic facts and figures relating to Iceland. Book one of these fantastic and informative Culture Tours in Iceland. See also The History of Iceland for more information. Check out Top 12 Things to Do In Iceland for some ideas for your holiday! Still need some persuasion? Then read 13 Reasons to Visit Iceland. Researching a holiday destination can often seem daunting; after all, we’re dealing with entire countries here... sovereign states with their own rich heritage, diverse cultures, unique populations, customs, traditions. These are often entirely dissimilar to one's own country of origin, meaning that, even before you’ve arrived, it’s easy to feel out of your depth. Given Iceland’s small population, researching this country is, thankfully, unburdened by complications. There is only one “real” city, Reykjavík, which hosts the vast majority of accommodation, car rentals, tour operators, shops, bar, cafes and museums. Now, that’s not to suggest for a moment that Iceland’s lesser-known settlements—e.g. Akureyri and Egilsstaðir—don’t have fascinating attractions on their own, but it is, undeniably, Iceland’s capital that provides the greatest wealth of modern amenities. Given the average reader's attention span, and of course, our own, we have included some of the most relevant Iceland information below. 2.1 -Where Exactly is Iceland? Iceland is a truly fascinating country, but given the small population and relative isolation from the rest of the world, people are often unaware of some of the basic facts about Iceland that everybody should know. Below, you will find an infographic listing 11 Basic Facts about this young country. Iceland sits almost smack in the middle between the United States of America and Canada to its west and mainland Europe to its east. This positioning has long made Iceland the perfect stopover for travellers and businessmen making the long transatlantic journey, as it has for military minds looking to base themselves strategically between two vulnerable regions. See Also: What to Pack for Travel in Iceland. Wikimedia. Creative Commons. Credit: Chris.urs-o. Coincidentally—or, perhaps not—Iceland sits directly atop a pocket of molten lava known as the “Iceland Plume”. This plume is widely considered to have been the greatest driving factor in forming Iceland, though there are alternative theories, notably that of the “Icelandic hot spot”, similar to the volcanic activity beneath Hawaii. And what a spectacular landscape that has formed! Iceland is truly characterised by its landscapes, as diverse as they come, ranging from black-sand deserts to pure white glaciers. As you travel from region to region, you will see how these ancient and primordial forces sculpted the land’s canyons, mountainous slopes and river gorges. Iceland's coordinates on the world map are 64.9631° N, 19.0208° W. A one-way flight to Iceland from London will take approximately three hours, while from New York City, the flight will take roughly five and a half hours. Officially a part of Scandinavia, Iceland is also considered to be a Nordic country by some, and not by others. Either way, Iceland's relationship with the Nordic country's is particularly strong given the historic relationship between the island and those mainland countries who sent settlers here in the first place. Visitors to Iceland can visit the Nordic House, found just beside the University of Iceland in Reykjavik, to learn more about this important connection. It's also a fantastic place to check out some authentic Nordic architecture, as well as grab a delicious bite to eat. Aside from the general black and white facts about Iceland's geography, population and natural features, Icelandic culture can itself be drawn upon for fascinating titbits of information. Read on to know Cool Facts About Iceland. Iceland's economy is built around three major sectors; fishing, manufacturing and, as of 2010, tourism. Without a doubt, tourism is the saving grace of today's economy, but fishing has long been the country's defining lifeline. The tourism industry boomed in 2010 as a direct consequence of the 2008 - 2011 financial crisis, of which more will be spoken of later in this article. So too was it a consequence of the eruption of Eyjafjallajökull which occurred in the same year; having disrupted air traffic over mainland Europe, the eyes of the world turned to the volcano whose name they could not pronounce. Over the next decade, tourists began to flock to this sub-arctic island to experience for themselves the cascading waterfalls, the creeping ice caps, the dried volcanic plateaus, the scenic coastlines, rumbling river systems and sweeping panoramas. In response, Iceland has seen a rate of infrastructural development not seen since the end of the Second World War. New hotels, restaurants, roads and tour opportunities have all arisen with the dawn of tourism of Iceland, and though new challenges must now be met in order to handle this influx, it is the tourism industry that has singlehandedly saved the Icelandic economy. Iceland was occupied by British and US forces during WWII. To accommodate the foreign forces, infrastructural development took flight at a pace never seen before in Iceland. Photo from Wikimedia. Creative Commons. Ware CJ. Iceland’s economy suffered a freefall between 2008-2011. Unlike the majority of other affected countries, the Icelanders chose to pursue prosecuting those responsible—the country’s top banking executives—rather than merely bailing them out. See also: 37 Reasons NOT to Visit Iceland! Over the years, this has been brought up time and time again as an example of anti-establishment rhetoric, and though Iceland did indeed push to punish, the bankers here still got away with relatively light sentences, even returning to their former positions once the crisis cooled. People travel to Iceland for a huge number of reasons. Some are trying to find peace, solitude and respite from the hectic daily schedule of their lives, while others are here solely to witness this land's spectacular natural attractions. Some have come to see specific features, unique to Iceland, such as the crystalline glacial spring, Silfra Fissure, while others have their heart set on little more than soaking in a natural hot pool. Some travellers are merely passing through on their transatlantic journey, while others have waited a lifetime for the chance to set foot here. To each and every example, Iceland has opened its arms in welcome. Iceland has something to suit almost every traveller ambitions, attracting hundreds of thousands of visitors a year from all across the planet. This tourism boom couldn't have come at a better time, swiftly changing the fortunes of Iceland's crashing economy, and becoming a crux that would see the very face of this country's culture, workforce and identity change. In other words, travel in Iceland is big business. With that in mind, you will find a wealth of operators—some big, some small—offering tours, itineraries, packages, advice and information, all related to maximising your holiday experience in the country. See Also: Travel Itineraries For Iceland. Given the sheer amount of travellers, there is now an enormous variety of things to see and do here, as well as fantastic nightlife, culture and fine dining experiences. The list of available activities in which visitors to Iceland can participate is truly eclectic, having widened massively over the last ten years. Today, with the aid of customisable tour packages, visitors can sculpt exactly the type of holiday experience they want; relaxing, educational or action-packed? The choice is yours. Sightseeing is, without doubt, the most popular activity here; all it requires is a vehicle and a sense of direction. Iceland’s natural features are so overwhelmingly picturesque that certain routes, such as the Golden Circle and the Diamond Circle, have become famed for both their accessibility and the quality of their attractions. 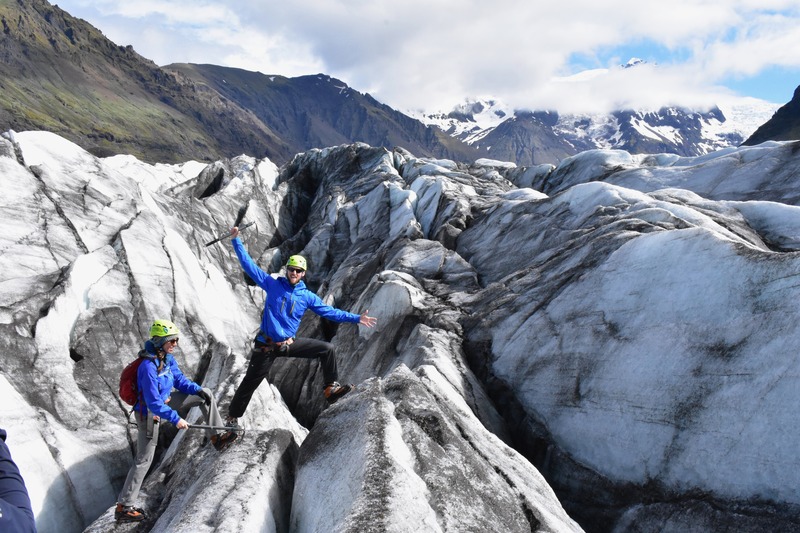 Sightseeing routes can be undertaken independently or with a certified tour operator; the latter option is best for those travellers who wish to avoid driving and who would like to gain a deeper education on Iceland’s natural geography. Aside from seeing and visiting the natural attractions, travellers here can participate in numerous thrilling activities; ATV riding,horseback riding, glacier hiking, ice-caving, scuba diving, helicopter sightseeing, surfing, whale watching, hiking… the list goes on and on. When one thinks Iceland, one can’t help but envision sweeping glaciers (albeit, with unpronounceable names—again, Eyjafjallajökull, anyone? ), cascading waterfalls, rugged coastlines, lush highlands and snow-capped mountains. It is in the country’s stunning, dramatic and ancient nature where visitors relate, providing an experience of connection and tranquillity not often found elsewhere. Consider the appeal of specific attractions. Vatnajökull National Park, for instance, with its sweeping dark hillsides and slithering glacier tongues, as well as the presence of Iceland’s “Crown Jewel”, the iceberg-filled Jökulsárlón lagoon, makes for a must-see destination in its own right. The same goes for such attractions as Dettifoss, Europe’s most powerful waterfall, and Þingvellir National Park, one of the only places on the planet where it is possible to see both the Eurasian and North American tectonic plates standing exposed from the earth. Aside from Iceland’s natural features, there are a wealth of swimming pools, spas and sports complexes to choose from, as well as numerous museums, art galleries and theatre spaces. The capital city, Reykjavík, also boasts some incredible landmarks, from the glassy Harpa Concert Hall to the architecturally magnificent Hallgrímskirkja church. You can read more about the various attractions in Iceland below. But what of the Icelandic people themselves? Who are these blonde-haired, blue-eyed, shark-eating Vikings that call this island home? Why are there so few of them, and how did they become so skilful at football? All these questions and more are a part of the Icelandic mystique; Icelanders are proud and adventurous, capable of hurdling enormous and progressive steps in education, gender and LGBTQ+ rights, music, literature, renewable energy and, now, even sport. Icelanders “officially” came into existence on 17 June 1944, after the country became independent from the Danish monarchy following Germany’s invasion of Denmark. It was then that the Republic of Iceland was born, though there had been settlers living on the island since as early as 870 AD. These seafaring people were primarily from West Norway, whilst the majority of the others were of Celtic stock, particularly from Ireland and the eastern coasts of Scotland, usually taken as slaves. Today, the contemporary Icelander prides themselves as a creative and intelligent member of a modern democracy; equal rights are at the forefront of politics, and the population is enthusiastic in its political activism. So too are they in the field of the arts; every night in the country’s cities, towns and village, live exhibitions of music, poetry and artwork are readily held for a thirsty populace. Did you find our country profile of Iceland helpful? Is there any crucial information that you believe we've missed. Please, feel free to leave your comments and queries in the Facebook comments' box below! Where Did Icelanders Come From?